Material: 20 gauge CRS frame. Minimum size 3" x 3", maximum size 60" x 104". See fire rating below. Door: 1-3/4" door. For other sizes see VLFIG and VLFEZIG. Fasteners: #8 x 1" flathead phillips SMS to match finish. 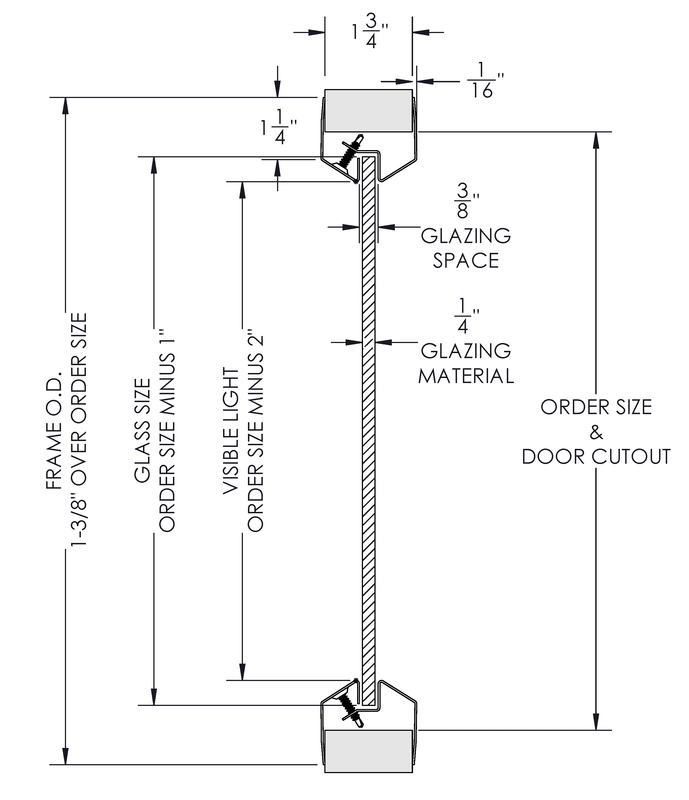 Glass: 3/16"- 1/4" glazing to be ordered separately from glazing section. 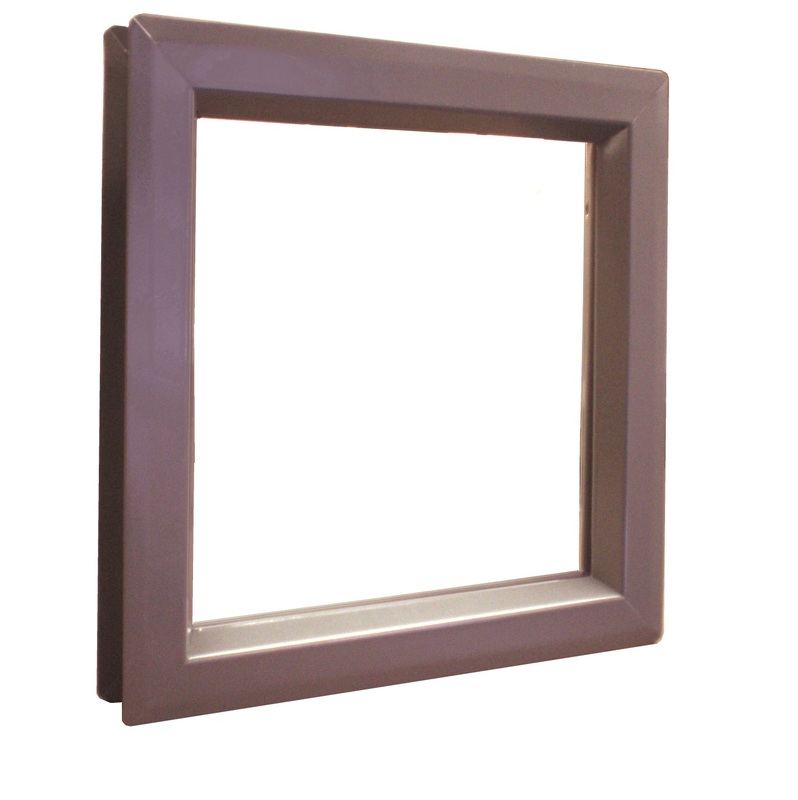 Use fire rated glazing with Warnock Hersey (WHI) or UL classification markings for fire rated applications. Visible light is 2" under rough opening size. Glass size is 1" under order size. 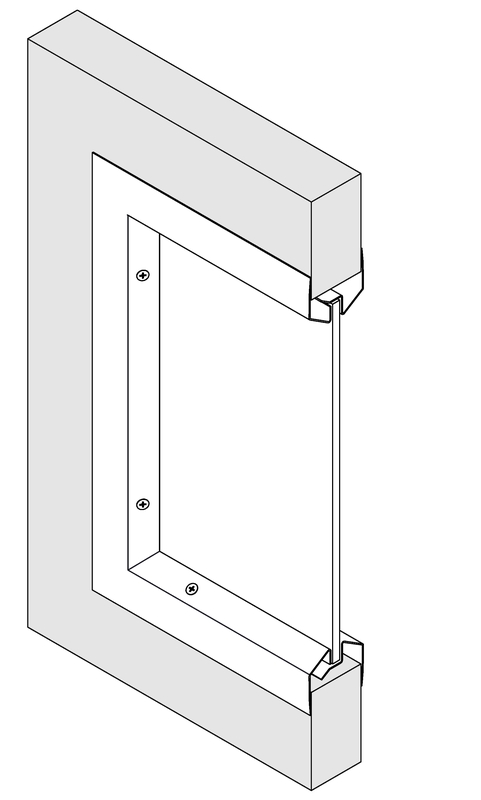 UBC 7-2 Installation: See detailed installation instructions. Note: Intumescent tape not required for 20 minute wood doors with UL label.